With more time and effort being invested in home refurbishments, people are looking for different creative ways to enhance their home for their own personal gain, which in turn will increase its value. As specialists in small bespoke bathrooms we have noticed a common preference among our clients that with good planning makes all the difference. We are sharing 5 different ways to visually increase the size of a small bathroom. Be innovative with your use mirrors to establish a distinctive look that feels bright and spacious. 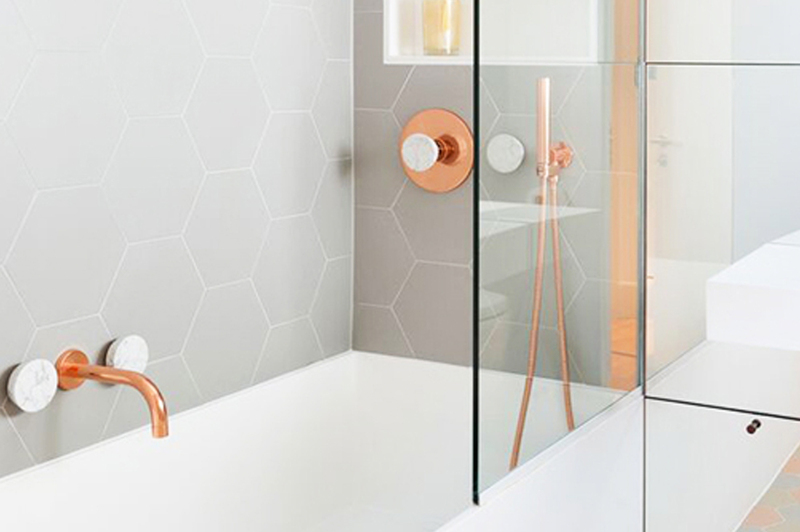 One of the most important things to consider when re-designing a small bathroom is whether you want a shower room, or both shower and bath, this changes everything in the planning of your bathroom renovation. (Image: My House Idea). For more information on small bathrooms design and installations please get in touch and we will be happy to assist you further, drop us an email at studio@amberth.co.uk or head over to our Houzz page where you can explore our projects in more depth.